Mr. Koopman concentrates his practice in the areas of real estate law, municipal law, business law and related civil litigation. His real estate practice involves all aspects of transactional and real estate development work, including purchase and sale, financing, development, zoning and environmental issues. 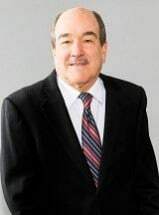 His business law practice involves the representation of both large and small business firms in connection with business formation, shareholder and partnership agreements. He also has significant litigation experience in the Court of Common Pleas of Pennsylvania, as well as in the Appellate Courts, including the Supreme Court of Pennsylvania. His municipal clients include Lower Makefield Township and the County of Bucks. Business clients include General Motors and Waste Management, as well as a number of smaller business firms doing business in the Greater Philadelphia area.